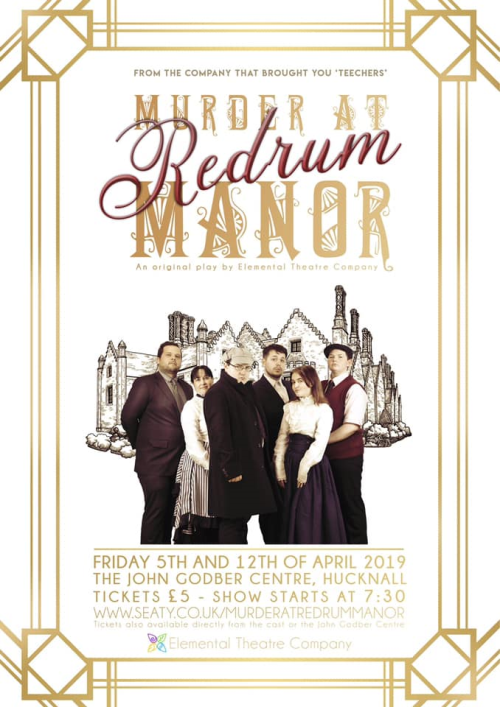 Elemental Theatre Company are performing their very first original piece of theatre 'Murder At Redrum Manor'. This original piece is a murder mystery in the style of Agatha Christie, set in 1920's England. The story follows the trials of Lord and Lady Whitefeather after someone at Redrum Manor is murdered in cold blood. With the doors locked Detective Inspector Godber uses his cunning, wit and a string of confessions to find the heartless culprit. Join us on the 5th and 12th of April 2019 for the premier of this show. Doors open from 7:00, show starts at 7:30.